children like to eat. The councillors used this information to redesign their ideal school meals. 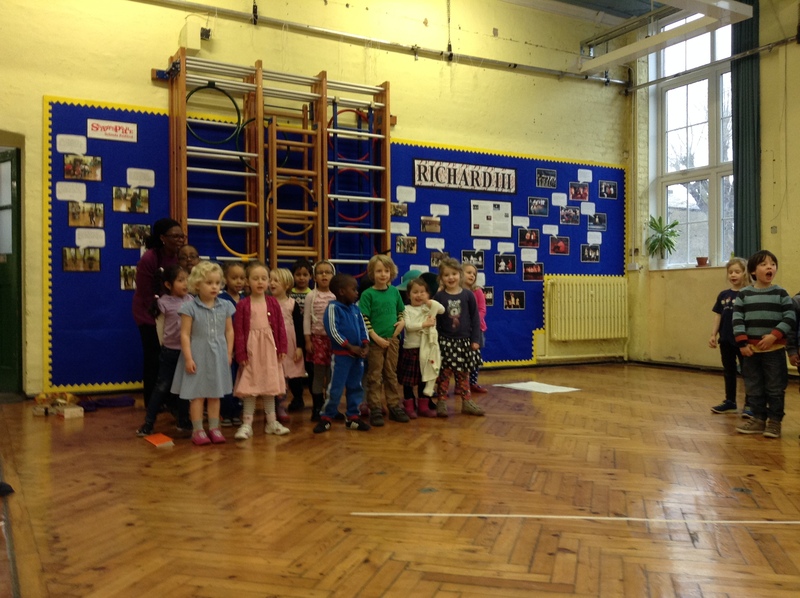 school councillors a tour of the school kitchen. Did you know that Lunar New Year is next week? 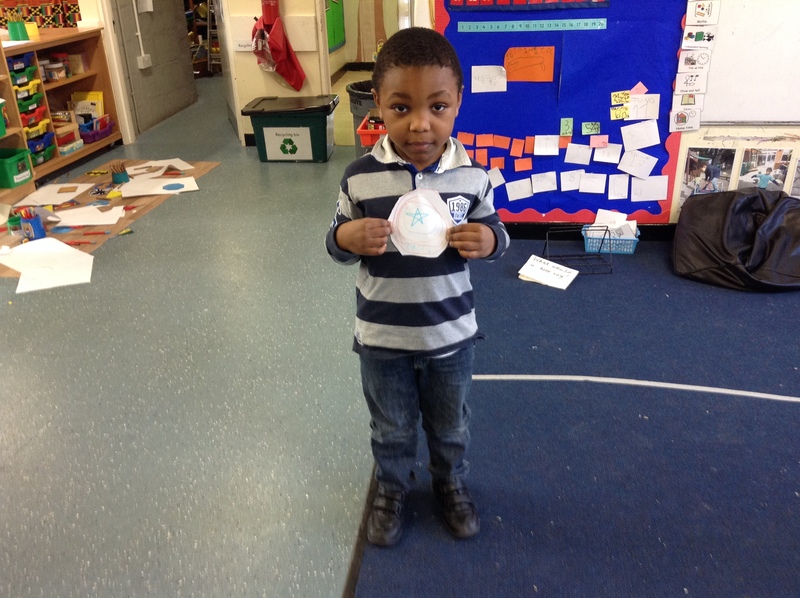 We have been learning all about it and celebrating in many different ways. This year is the year of the goat. Happy Lunar New Year (or “Gung Hey Fat Choi”) to all! We do Playing and Learning. 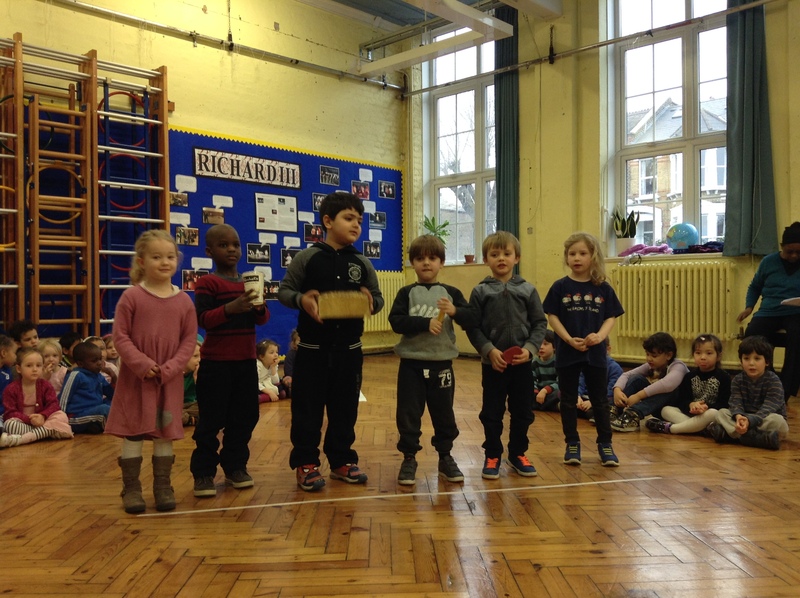 Thank you for coming to our assembly. It was awesome! 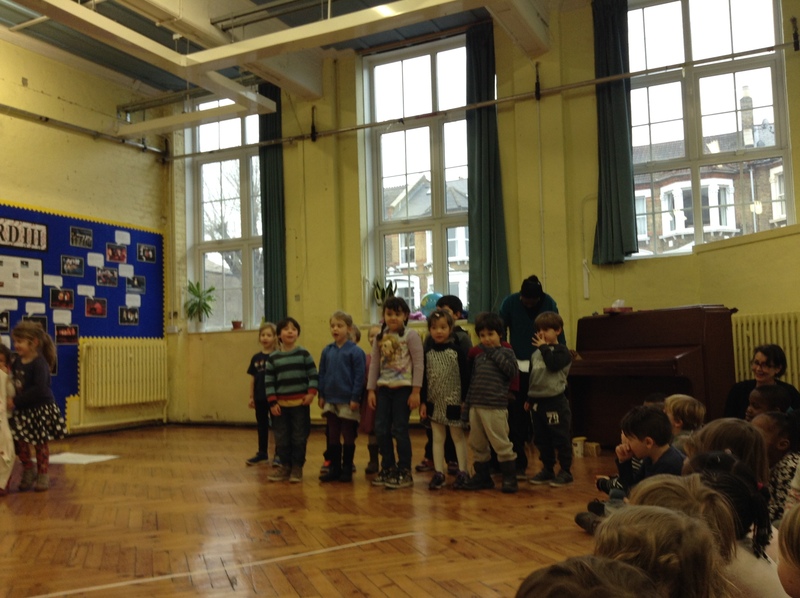 Earlier today, we were lucky enough to have a very special visitor: Chiara from 4A! 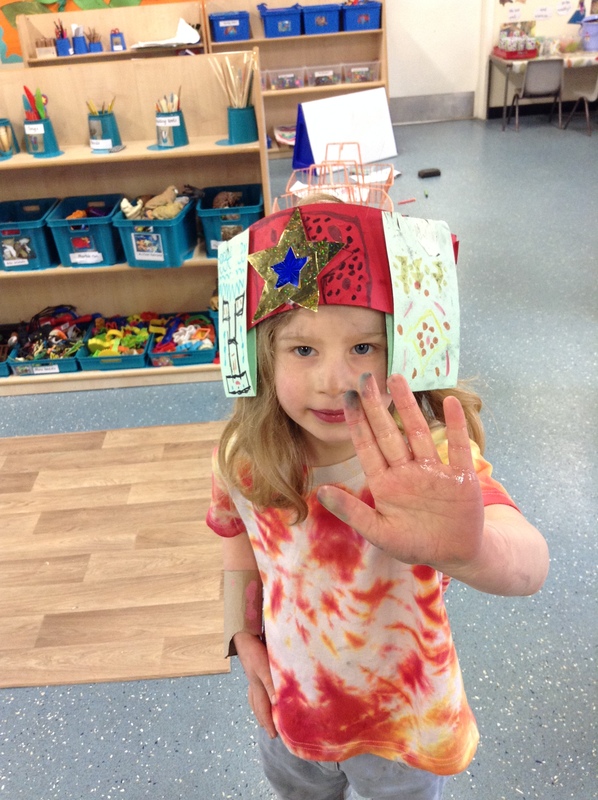 Chiara taught Reception C children some painting techniques, helped them with their maths puzzles and read them a story. 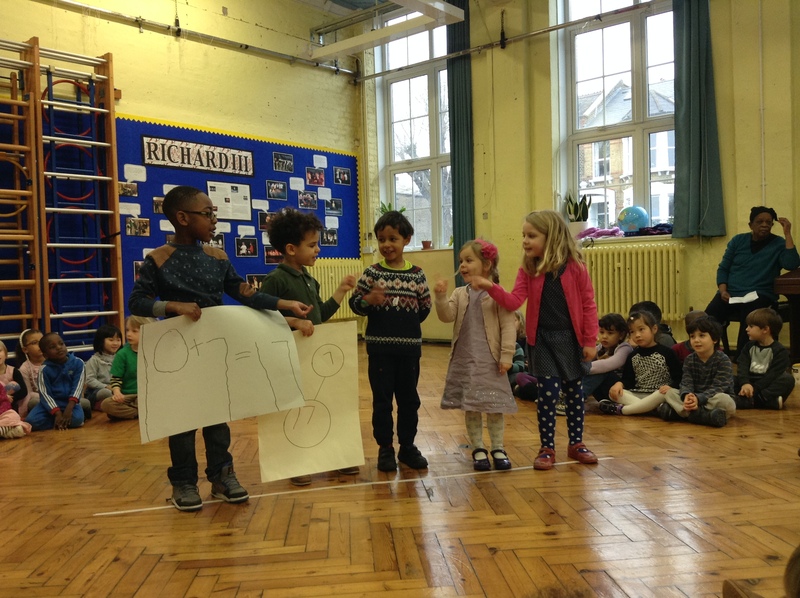 The children absolutely loved learning from an older child at Edmund Waller, and called her “Miss Chiara” as she was such a good teacher. 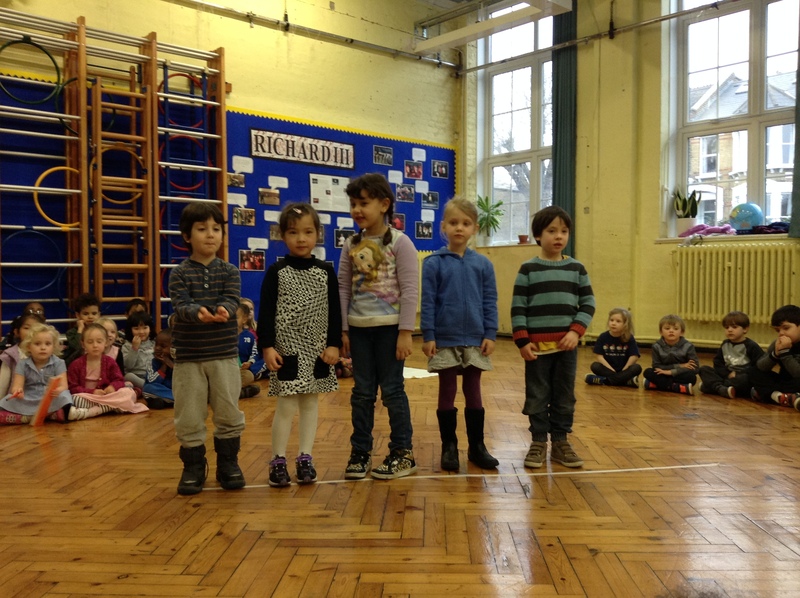 Chiara told us that she dreams of becoming an artist or a teacher in the future. We think she would be fantastic as either or both of these! 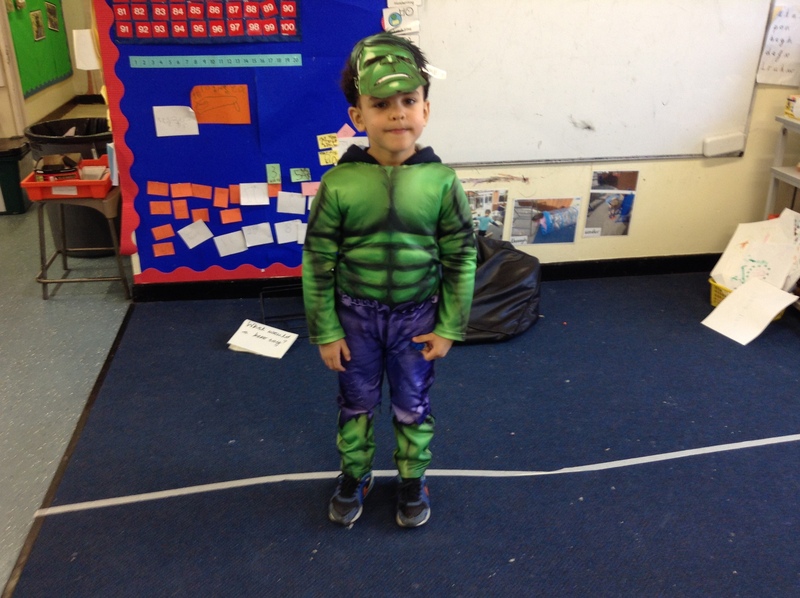 We have continued our Heroes and villains topic with a week dedicated to our favourite superheroes. 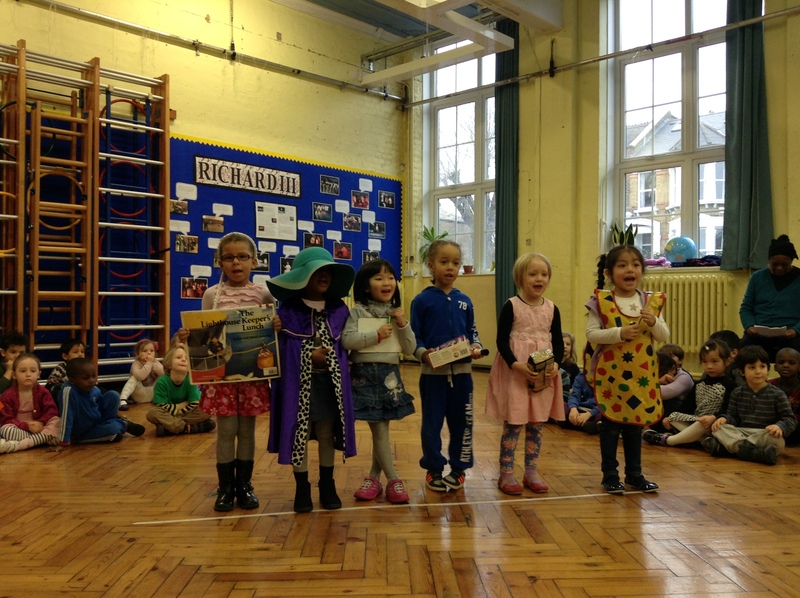 We have been enjoying the books Super Daisy by Kes Gray and Nick Sharratt, and Eliot Jones, Midnight Superhero, by Anne Cottringer and Alex T Smith. 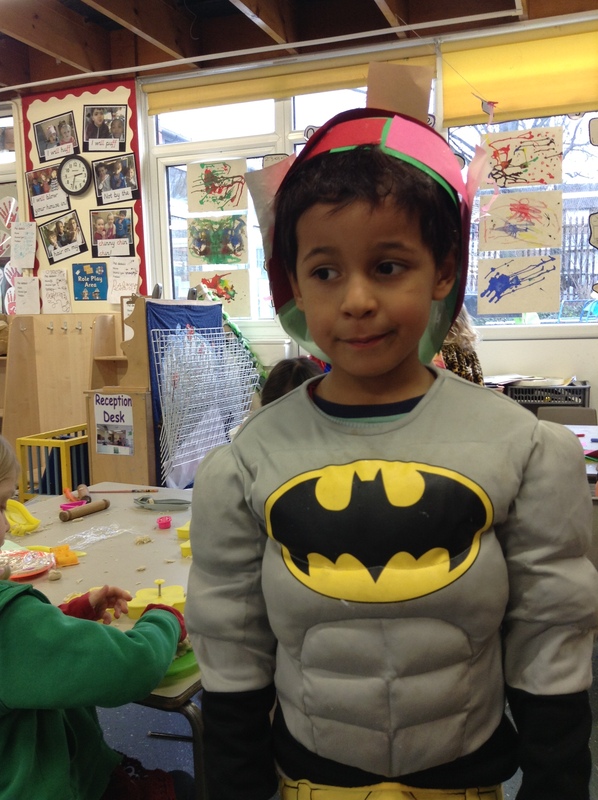 Yesterday, members of Reception C transformed into superheroes for our memorable event. 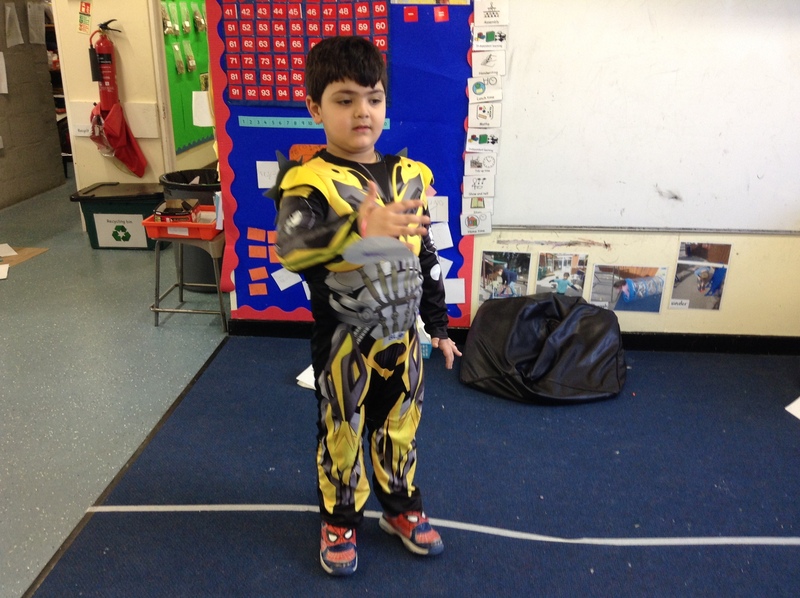 We did a lot of acting, playing in role and talking about our special powers. 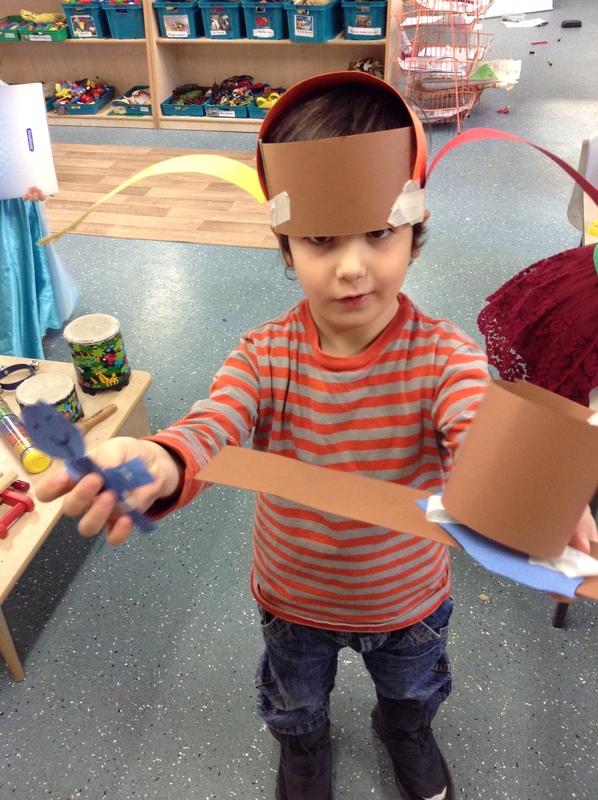 We selected and used different resources such as Lego, craft straws and recyclable materials to create superhero gadgets. 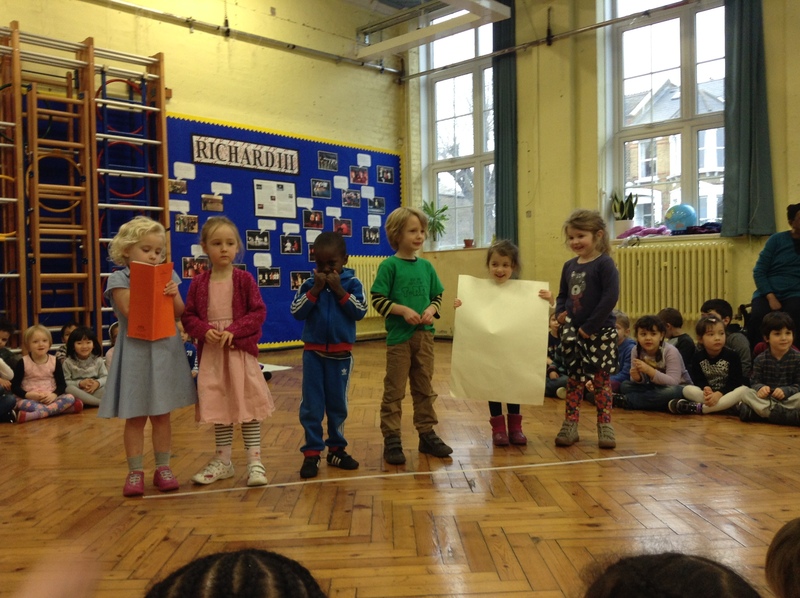 We wrote lines of speech using the high frequency word ‘said‘ to enhance our super powers. 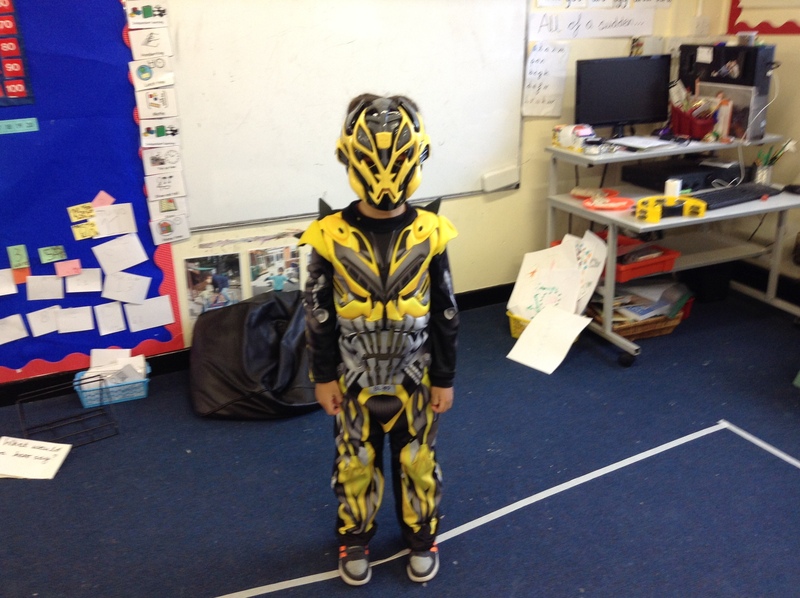 “I will get the green goblin” said Bumblebee. 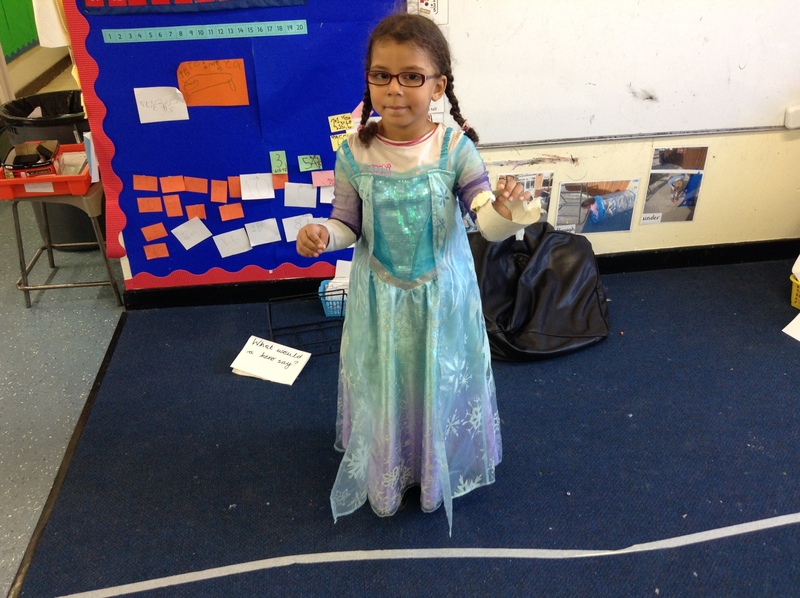 “Let it go” said Elsa. 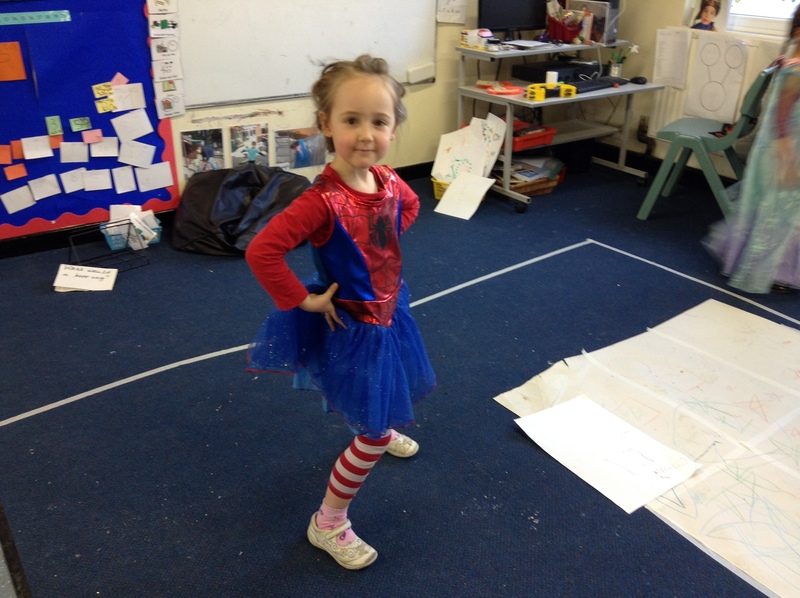 “Spider girl to the rescue” said Spider girl. “I will squash the peas” said Hulk. 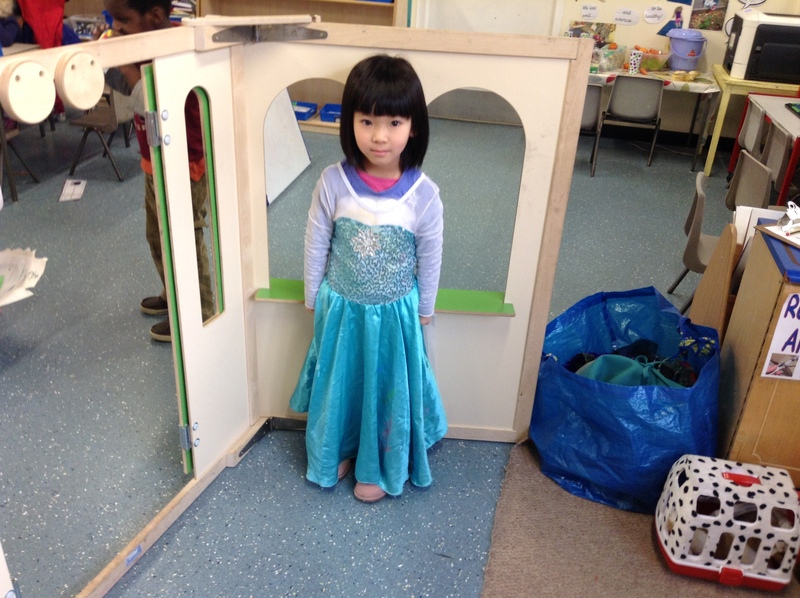 “This is a job for Elsa” said Elsa. “This is a job for Super Jennifer” said Jennifer. 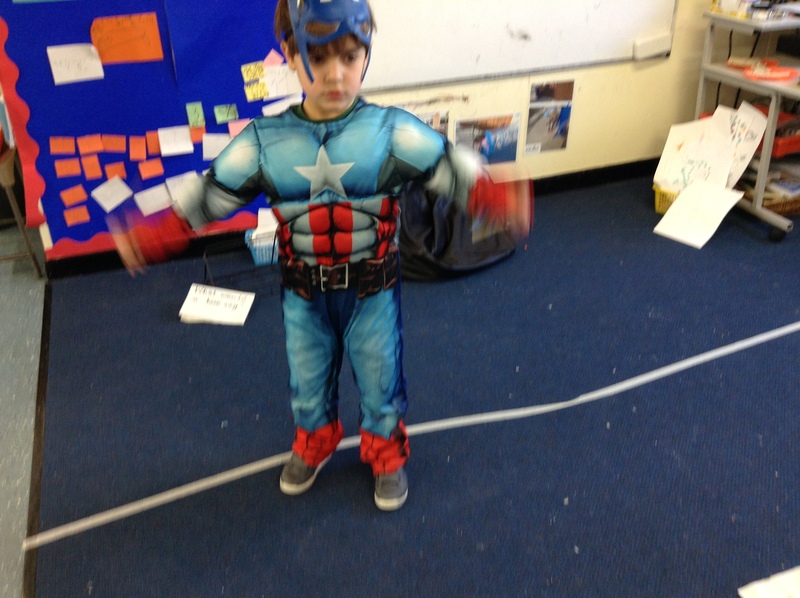 “I’m Captain America!” said Super Josh. 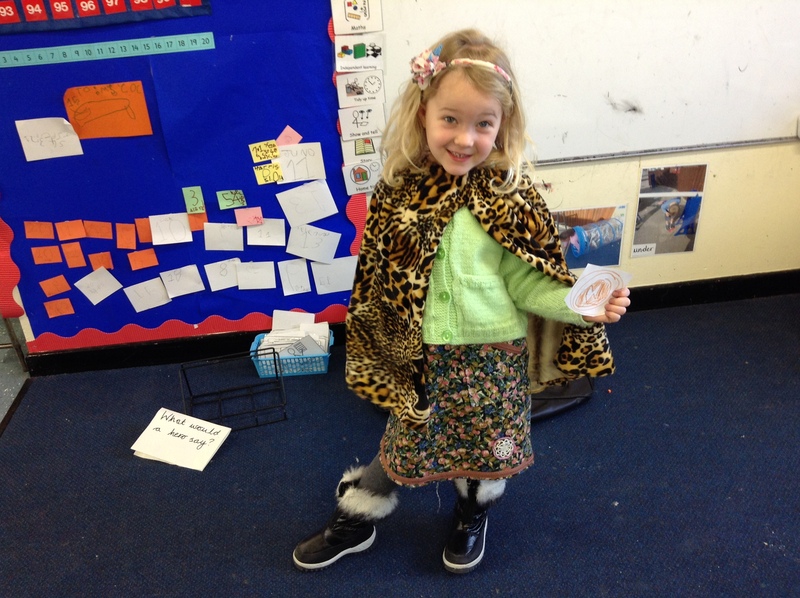 “Leopard girl will save the day” said Leopard Girl. 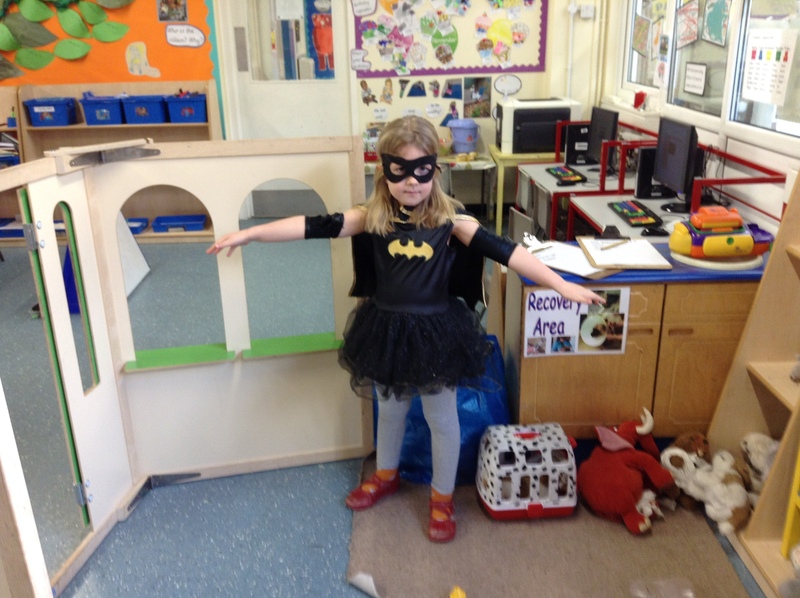 “Bats save the world!” said Batgirl. “What are you doing?” said Super Leckhan. “I will save the apple!” said Super Jasper. 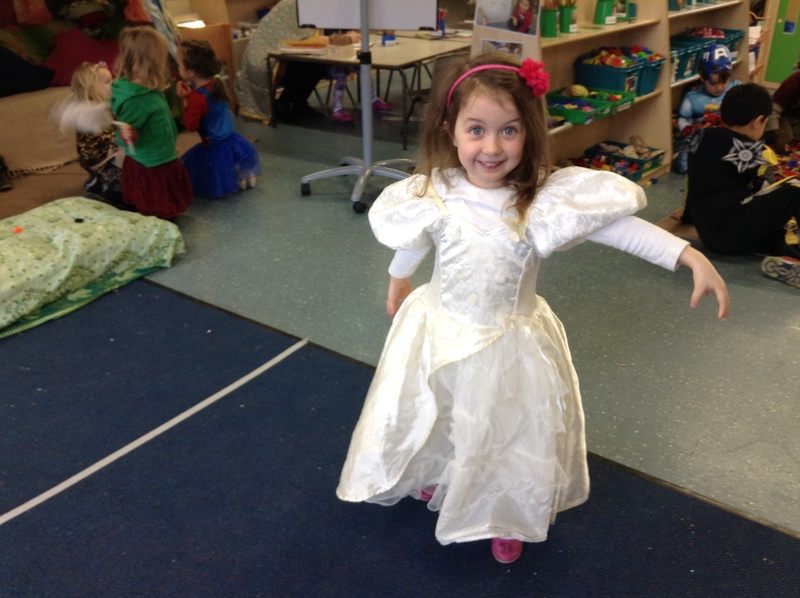 “It’s not fair!” said Cinderella. 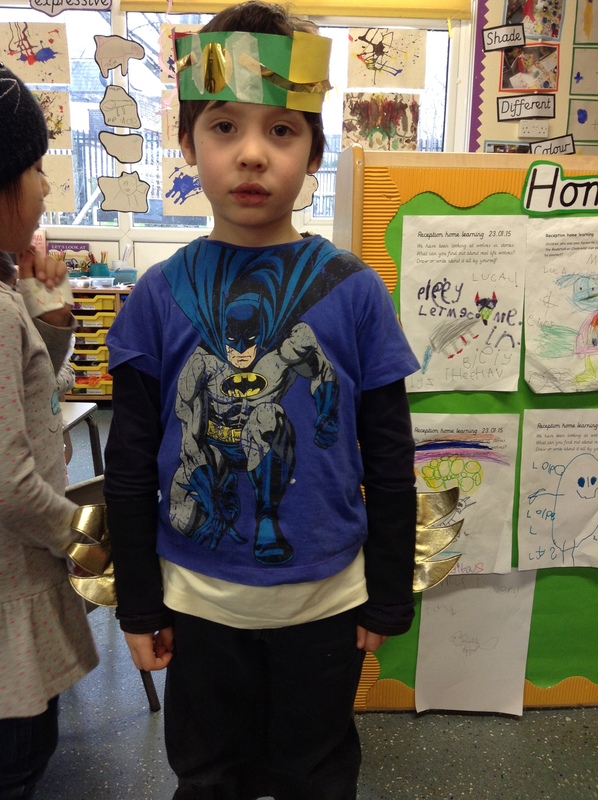 “I will save the world” said Super Prince. “This is a job for Bumblebee” said Bumblebee. 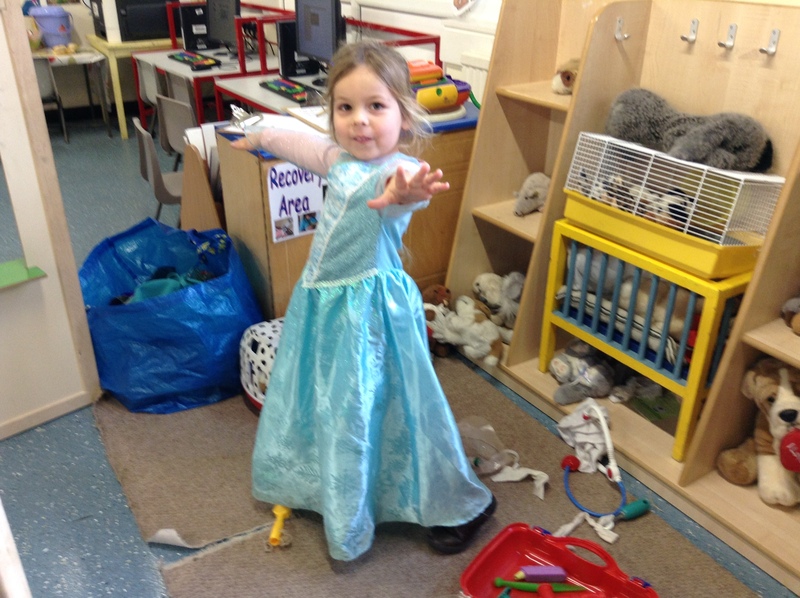 “I will freeze the world” said Elsa. 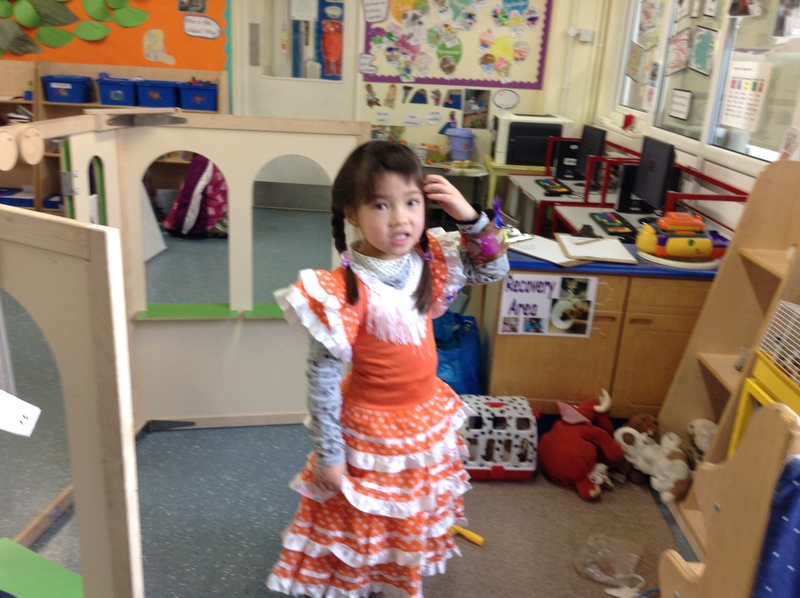 “Super Flamenco!” said Super Flamenco Girl. “I will save the world” said Batman. 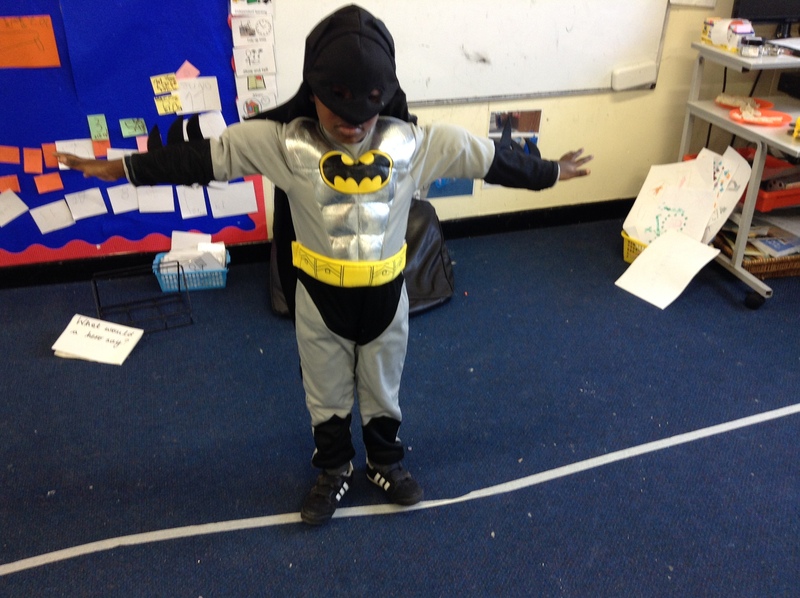 “I am super” said Super Harris. 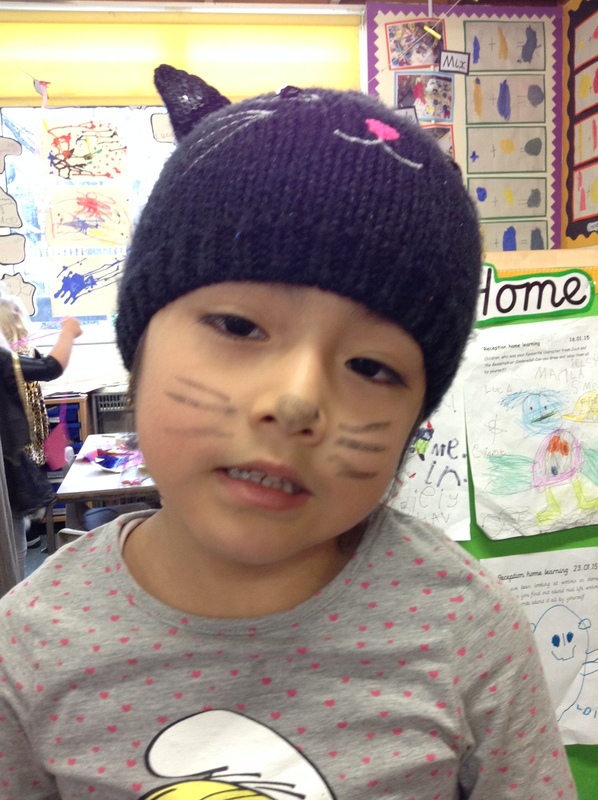 “I am Super Cat” said Super Cat. 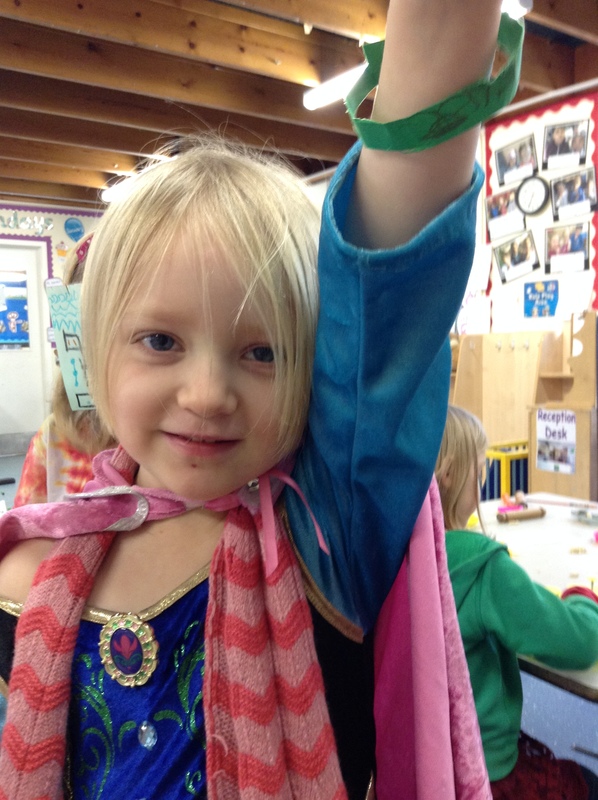 “This is a job for Super Dulcie” said Dulcie. 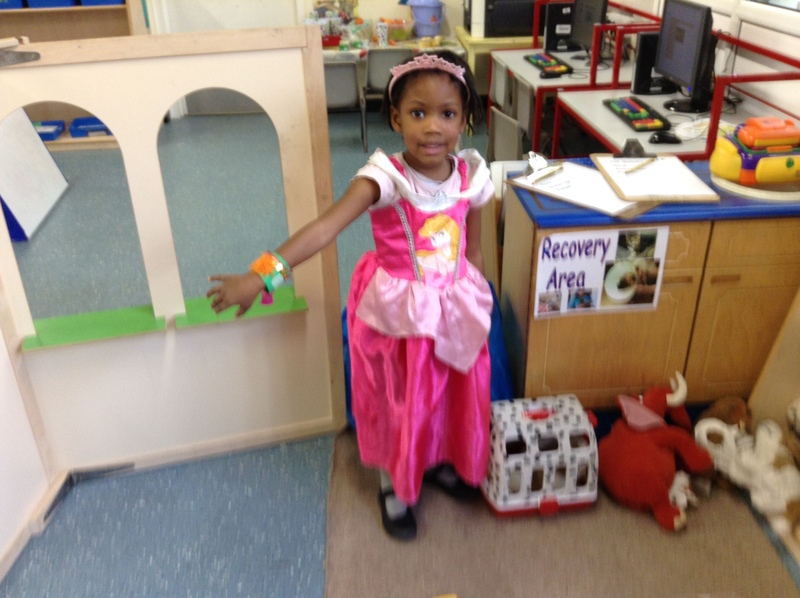 “Princess Power Button to the rescue” said Princess Power Button. 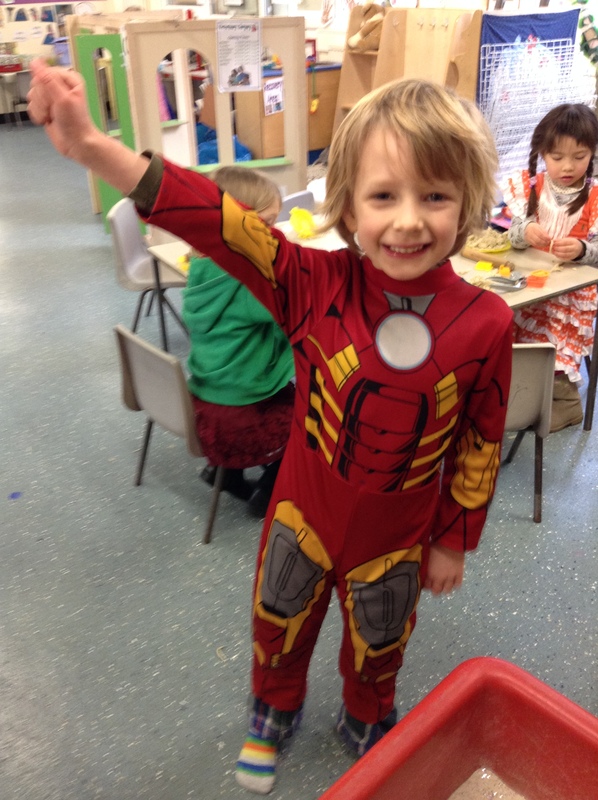 “I am saving the day” said Super Luca.